What is the Problem With the iPhone 4's Antennas? Literally, when a phone or device is positioned in such way that attenuates the signal and users body absorbs too much of the signal. This prevents the antenna from getting the full strength of the signals. The new design of iphone4 has moved the antenna action from the back of the phone to the sides. When a user touches both of the black lines on the phone's metal sides towards the bottom of the phone by its metal sides in two opposite places which also acts as antennas for the device, the signal drop problem occurs. It mostly appears when a user holds the phone in a particular way,known as the "grip of death", just where the metal antenna band is located. By holding the phone on the lower left bridges the gap between two antennas depletes the signal and leading to a loss of signal. The simple solution is to gather a case or bumper that wraps around the metal edge of the phone. Apple is giving free cases for iphone4 with antenna problem. Click here for more details. Using case or bumper will isolate the area of antenna from any kind of touch by users. If you are unable to get a Free bumper from apple and unwilling to cost extra money behind bumpers,then you can easily collect Antena-aid at cheap rate.Antenn-aid which are small Bandage shaped stickers made to cover the sensitive area of the iPhone 4’s antenna frame .They are multicolored and sure to be a great conversation piece. The alternative way is to avoid covering the black strip in the lower left corner of the metal band. That means handle it without touching the area of antenna as much as you can. Moreover, maximum cell phones show signal strength in the signal bar display, averaged over time. It also appears in iOS 4, more than previous iPhone software. It is presenting a less accurate signal meter, which showing less signal at times than an iPhone 3GS though it enable to deliver more signal quality. Besides, the internal network sometimes may have less signal strength (in terms of noise ratio) compared to other network places which is showing a fluctuation in receiving signal. So, don’t be upset for the temporary distortion. Indeed, gripping almost any mobile phone in certain places will reduce its reception. This is a fact for the world of wireless communication. So, after having a little bit problem with antenna for some places or not at all, iphone4 has many features of wonder. 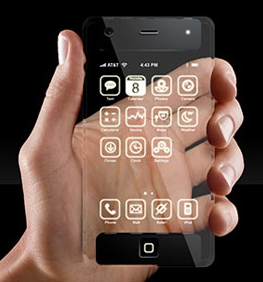 Utilize and enjoy them to take the full advantages and real tests of the smartest phone of the planet.